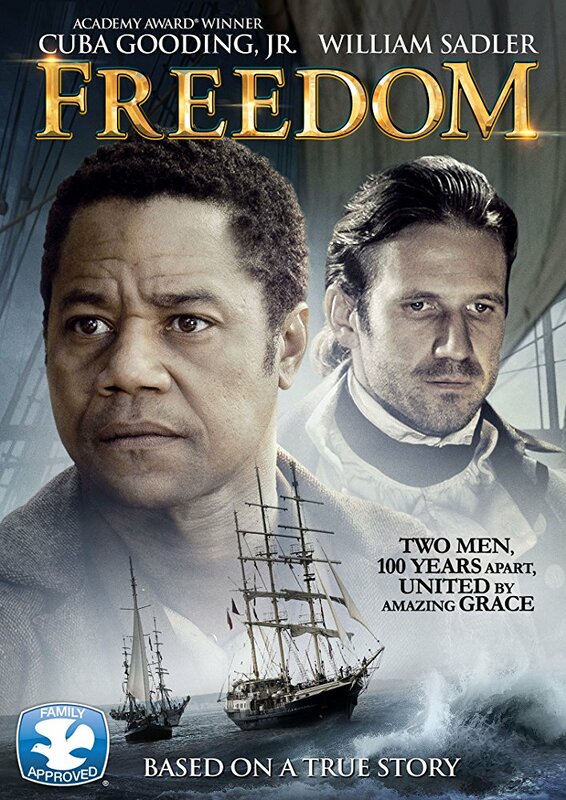 Two men separated by 100 years are united in their search for freedom. In 1856 a slave, Samuel Woodward, and his family escape from the Monroe Plantation near Richmond, Virginia. A secret network of ordinary people known as the Underground Railroad guide the family on their journey north to Canada. They are relentlessly pursued by the notorious slave hunter Plimpton. Hunted like a dog and haunted by the unthinkable suffering he and his forbears have endured, Samuel is forced to decide between revenge or freedom. A hundred years earlier in 1748, John Newton, the captain of a slave trader, sails from Africa with a cargo of slaves bound for America. On board is Samuel’s great grandfather, whose survival is tied to the fate of Captain Newton. The voyage changes Newton’s life forever and he creates a legacy that will inspire Samuel and the lives of millions for generations to come.